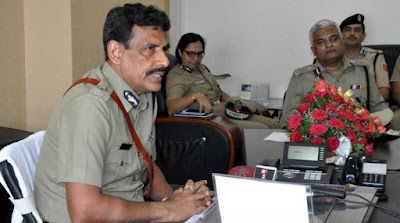 Siliguri: Bengal director-general of police Surajit Kar Purkayastha said on Wednesday that Gorkha Janmukti Morcha president Bimal Gurung and some of his associates had links with Northeast-based militant groups and Maoists. The DGP said the police raid on a jungle camp allegedly housing Gurung and his associates on the banks of the Little Rangeet river on Friday morning was "successful" as a huge cache of arms had been seized. "The operation carried out a few days ago, which led to the death of one of our young and brave officers, was successful. A huge cache of firearms and other items were recovered. We already had information about the links of Gurung and others with Northeast-based insurgents and Maoists. Now, it has been proved again. Some outsiders, anti-nationals, are also involved in this," he said at Bagdogra before leaving for Calcutta after a two-day tour of the hills. Purkayastha said the police had identified all those who were with the Morcha chief. Bengal director-general of police Surajit Kar Purkayastha said on Wednesday that Gorkha Janmukti Morcha president Bimal Gurung and some of his associates had links with Northeast-based militant groups and Maoists.